Looking to add some stunning dimensions to your natural hair? 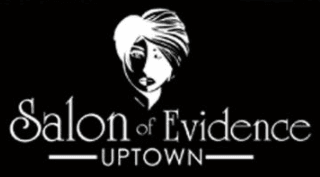 Come to Salon of Evidence Uptown in Charlotte to get the stunning hair you’ve always wanted! We are a full-service multicultural hair salon offering cuts, styling, coloring, blow outs, relaxing treatments and so much more for men, women, and children. Our services are suitable for every hair length, type, texture and thickness. Whether you're looking for a lovely new haircut or want to try ombre color on your hair, our salon and stylists will be able to accommodate your needs. We love being able to work with our clients and bring their hair goals and desires into reality. Come in, sit down, and let our team of hair stylists help make your hair dreams possible today.